World Environment Day (WED) is celebrated every year on 5 June to raise global awareness to take positive environmental action to protect nature and the planet Earth. It is run by the United Nations Environment Programme (UNEP). It also serves as the ‘people’s day’ for doing something positive for the environment, galvanizing individual actions into a collective power that generates an exponential positive impact on the planet. It was established by the United Nations General Assembly in 1972[ on the day that United Nations Conference on the Human Environment began.The first World Environment Day was celebrated in 1973. Since then it is hosted every year by a different city with a different theme. 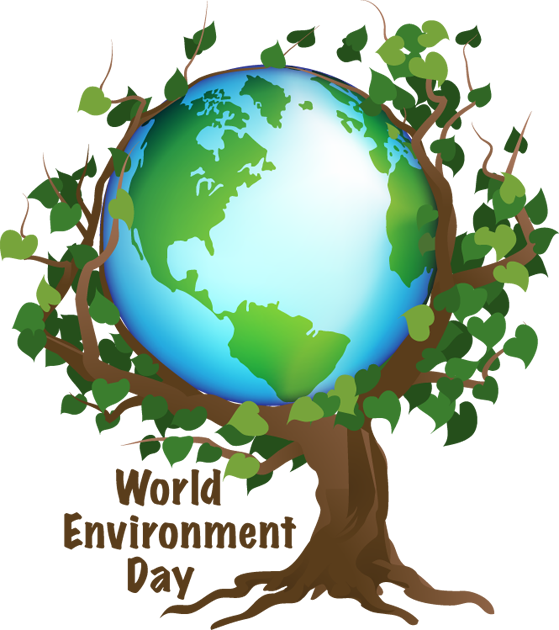 World Environment Day falls in spring in the Northern Hemisphere and fall (rainy season) in the Southern Hemisphere, and midsummer in the tropical regions. Media and celebrities have encouraged World Environment Day Celebrations by endorsing and taking part in it. Eco Action Day is celebrated since 2007 in Singapore to inspire individuals to reduce energy use at the workplace. “Earth Anthem” by poet-diplomat Abhay K was launched in June 2013 on the occasion of the World Environment Day by Kapil Sibal and Shashi Tharoor, Union Ministers of India at a function organized by the Indian Council of Cultural Relations in New Delhi. It is in eight languages including all official languages of the United Nations which are- . Arabic, Chinese, English, French, Russian, Spanish. The other two languages are Hindi and Nepali.